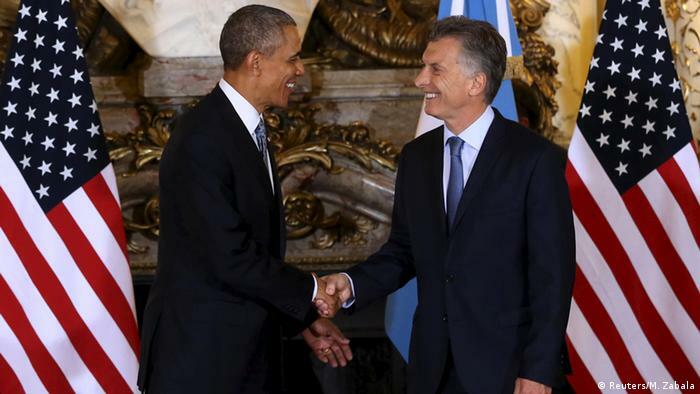 Obama’s visit to Argentina last week took place at a time of considerable change in Argentine politics. After 12 years of the Kirchners, President Mauricio Macri, who came to power last December, has shifted gears away from many of the policies of his predecessors. Problems with Argentina included the country’s unwillingness to pay debts, direct conflict with the American judicial system over “vulture funds”; an absurd agreement with Iran where the Islamic Republic was to be part of the investigation of the bombing of the Jewish community center in Buenos Aires (AMIA) when Iran was the main suspect; and; the mysterious death of prosecutor Alberto Nisman in charge of investigating the AMIA case. In general the Kirchner government saw the United States as an adversary and joined, not as a member but as a strong supporter, of the Bolivarian alliance (ALBA), a group of left-wing countries led by Venezuela that promoted anti-Americanism and alliances with Iran and U.S. rivals. President Macri made a quick decision to scrap the infamous and ridiculous agreement with Iran. Likewise, Macri pledged to solve the mystery of the death of prosecutor Nisman and paid a warm visit to Nisman’s young daughters. By contrast, the Kirchner government tried to ruin Nisman’s credibility and casted doubt on his honesty. Macri also recognized the good services that Nisman rendered to the country. In another move, Macri decided to withdrew Argentina’s association with Telesur, a continental TV network modeled after CNN and Al Jazeera. Telesur was initiated by Venezuela, whose main aim was to spread Bolivarian ideology and promote ideological world views mostly aligned with left-wing governments in the region. Of course, anti-Americanism is an important component of this ideology. Argentina funds 16% of the network. Macri argued that Telesur’s reports were one-sided and lacked diversity. Macri expressed particular concern about the fact that Telesur, which is also pro-Cuban, does not report on political prisoners and violations of democracy perpetrated by some of the countries of the region. This is a very courageous step on Macri’s part and a major blow to the regional left-wing coalition that has attempted to impose hegemony through social, cultural and political means. Macri met with western leaders during the annual meeting of the World Economic Forum in Davos, many of whom were despised by Kirchner, including the Israeli PM,Benjamin Netanyahu. The Kirchner government adopted unbalanced pro-Palestinian positions and unfair condemnations of Israel. In some cases anti-Semitic statements by the former president such as recommending that young students read the “Merchant of Venice” in which Shakespeare portrays Shylock, the Jew, as vengeful, greedy, unforgiving, anti-Christian and uncompromising in his demand for money up to the point of demanding contracts for a pound of human flesh. Kirchner’s point was to show how the American Jew, Paul Singer, head of a large hedge fund, blackmailed Argentina. By the same token, Argentina gave preference to trade and relations with Russia and China and even Iran over the United States. Kirchner also exploited the long-held stereotype of the United States as being imperialist and interested in exploiting Latin America’s natural resources and people. Obama paid homage to the disappeared in Argentina so making clear that the U.S. repudiates human rights violations and pledged to declassify documents related to role of the U.S. during the Argentina’s last dictatorship. These gestures, though important, are unlikely to change that image the U.S. has in Argentina where the radical left is strong and was associated with the Kirchner government. But Macri’s policy is what counts the most and things look promising now after a very bad decade in U.S-Latin American relations and U.S. Argentinean relations. Macri now has an opportunity to promote institutional, political and cultural change in Argentina. He should strengthen the judiciary by not politicizing its’ decisions and by making sure those in the judiciary obtain proper training. Last year there was a demonstration organized by Argentine prosecutors a month after Mr. Nisman’s death, imploring the country to respect the judiciary. Like most institutional changes, this would be a long process but well worth the effort. As an example, in Brazil, today, the national hero is Sergio Moro, a young prosecutor who has not allowed himself to be intimidated by political pressure. His attitude and actions may mark a turning point in Brazil’s troubled history of political and general corruption. Macri must succeed because Argentina’s recent history has shown that national crises under non-Peronist governments have brought down these governments and restored the Peronist back to power. That was the case of Raul Alfonsin (1983-1989) and Fernando De La Rua (1999-2001). Both presidents faced inflation and major economic problems that led to a crisis of political legitimacy. In both cases the Peronist party won elections following the crisis. Peronism, of which Kirchnerism is part, has a mystical power over the population. It can reinvent itself in different and contradictory forms. But it will always be remembered as the party of the people. Memory is short when it comes to the Peronist parties. It makes sense that as soon as the country faces hardship, nostalgia for Kirchner’s irresponsible welfarism might reemerge. The United States should not only strengthen relations with the Macri government but institute policies that are mutually beneficial to both, thereby increasing the likelihood that President Macri will succeed.